Much of my work is commissioned. Whether you have an exact idea of what you want, or just a general idea, I work with clients to develop exactly what they want. The subject is the first thing to nail down. Trout, Fish, Cattle, Goat...! To get started, just shoot me a message on my 'contact' page. Next most important piece is the space that the painting will be hanging in. Sometimes clients will send photos of the space they wish the final painting to hang in. Then I work with them on size ideas, color backgrounds etc. All paintings come ready to hang. 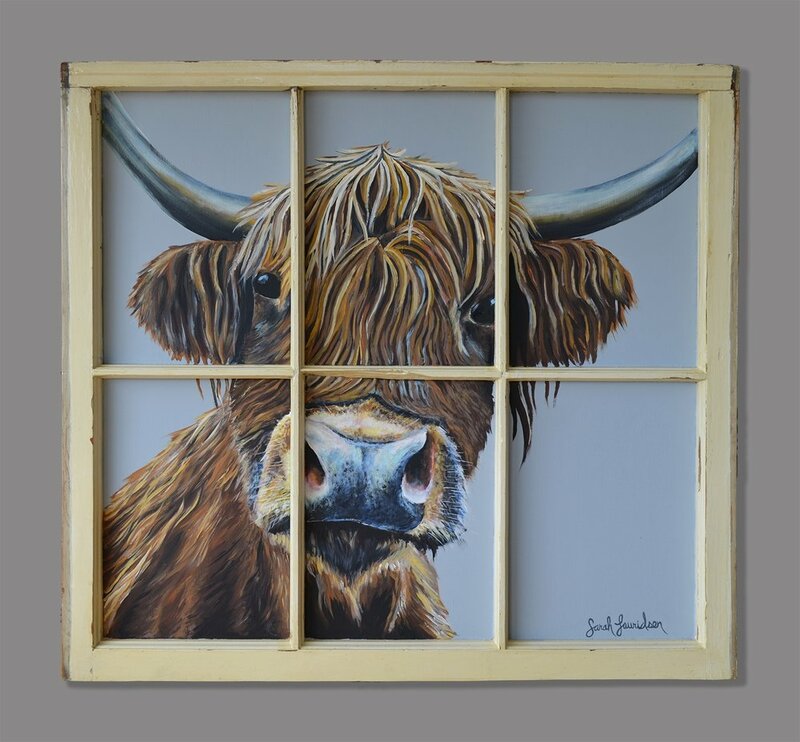 Old barn or home windows are also a popular commission. I try to keep a small stock on hand, or you can supply one to be painted. I sand the frame, apply a few coats of polyurethane for protection, and the final painting is painted on the glass. These are heavy, and need to be hung in an area with proper support. I have many happy customers with windows!